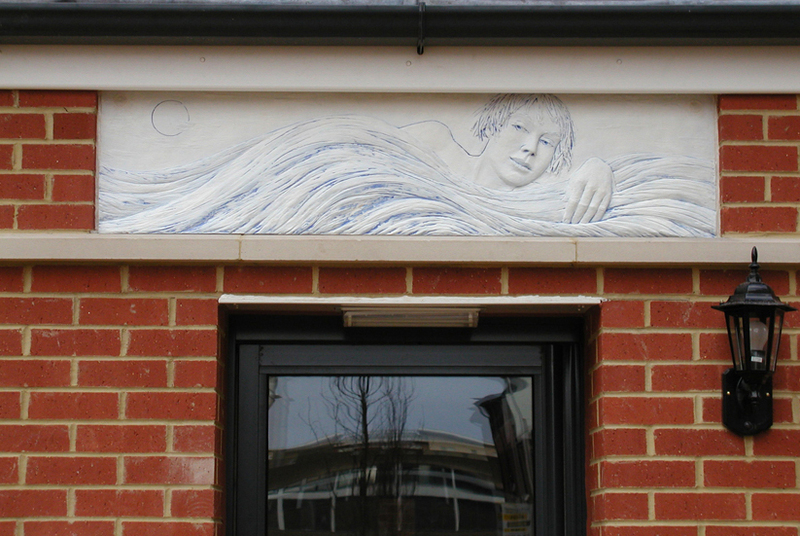 Four panels depicting swimmers. Each panel shows a family member Mother, Father, Grandma and Son. Move mouse to see each panel, two are shown in the clay stage, and two images show details of the GRC casts.